1Rad-Reader Reviews: HUNGRY IS A MIGHTY FINE SAUCE COOK BOOK : Recipes & Ramblings from the Belle of all things Southern. 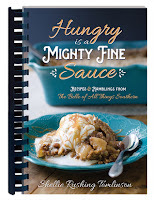 HUNGRY IS A MIGHTY FINE SAUCE COOK BOOK : Recipes & Ramblings from the Belle of all things Southern. Shellie Rushing Tomlinson, the Belle of All Things Southern, is serving up down-home southern dishes with a healthy side of laugh-out-loud entertainment in Hungry Is a Mighty Fine Sauce. Featuring dozens of tried-and-true recipes complemented by entertaining stories, your hunger--and your craving for humor--are sure to be satisfied! Uncomplicated, delicious recipes including Bodacious Black Bean Salad and Spicy Sausage and Crawfish Spread (125 recipes, to be exact!) 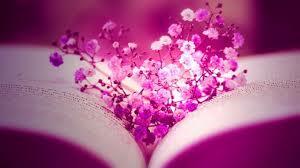 fall into categories including Feeding the Funny Farm, Carnivores Are Us, Holidays in Dixie, and Watching the Curves. Eye-catching photos, guaranteed to make your mouth water, are included throughout. . .sure to be a much-appreciated gift or centerpiece on your very own kitchen countertop.